First Flight for Dutch pilot in a Lockheed Martin F-35 A. "The jet handles great and is very easy to fly -- in fact, it's actually easier to fly than the simulator," Vijge said. "I could not have been better prepared than I was for this flight, and it's all thanks to the hard work and dedication of people working in the F-35 Academic Training Center." The Netherlands currently has two aircraft stationed here where they will continue to train pilots for operational testing and evaluation of the aircraft starting 2015. The Netherlands' aircraft and personnel are incorporated into the Air Force's 58th Fighter Squadron at the 33rd Fighter Wing here. "It was incredible; not only was my first flight in the first Dutch F-35, but I also got to fly this historic mission with Lt. Col. Matthew Renbarger (the 58th FS commander) as my wingman," Vijge said, who is an experienced F-16 Fighting Falcon pilot with more than 2,500 flying hours. "It was truly amazing to start this day knowing that a lot of people, both in the U.S. as well as back in the Netherlands, have worked very hard to make this possible." The F-35 is designed to penetrate air defenses and deliver a wide range of precision munitions. This modern, next-generation aircraft brings the added benefits of stealth, increased interoperability with our allies and cost-sharing across U.S. services and partner nations. "This first flight marks the start of an essential training program our pilots require, and it is a great example of the solid partnership between the Royal Netherlands Air Force and the United States Air Force," said Lt. Col. Albert J. De Smit, the Netherlands senior national representative for U.S. F-35 operations. 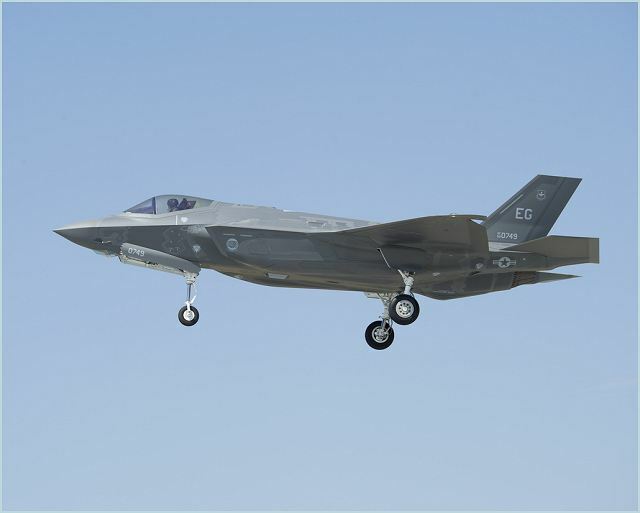 "The F-35 OT&E (Operational Test and Evaluation Center) will be a cooperative effort with the United States Services and the United Kingdom,” De Smit added. “This is another example of the cooperative nature of the F-35 program."